Our Core Values inspire us, motivate us and drive us to be the best we can be as human beings, team members, professionals and advisors to our clients. 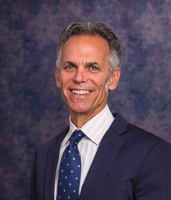 Stanley Lozinski is a CERTIFIED FINANCIAL PLANNER (CFP®), Registered Fiduciary™ (RF™), Certified Health Care Reform Specialist (CHRS) and Certified Senior Advisor (CSA), with over 26 years of experience helping people plan for their financial future. As the founding principal of his firm, Comprehensive Financial, he has always maintained his independence from the large brokerage firms, insurance companies and banks, providing clients with unbiased advice and recommendations that are based on their needs, not products or quotas. Comprehensive Financial maintains offices in East Islip, Melville, Aquebogue and NYC to service the needs of their clients throughout the tri-state area. So whether your needs are personal or business related, let our team of planning professionals help maximize your benefits and chart your financial future in an informed, well conceived planning process. Stan received his CFP® designation in 1996, CSA designation in 2000, CHRS designation in 2013 and RF in 2015. Stan is a registered representative of The Investment Center, Inc., Property and Casualty, Life and Health Insurance licenses. 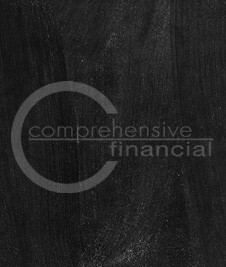 Michael J. Breunig, CFP®, RF™, has been educating and assisting businesses and individuals with financial services for over 15 years. In the beginning of his career he was working with a large banking institution providing financial advice to clients before assisting institutional and hedge fund clients with trading crude oil and natural gas options on the floor of the New York Mercantile Exchange. 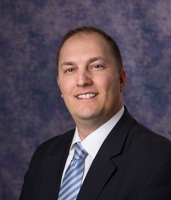 In 2004, he made the transition to Comprehensive Financial when he realized the opportunity to provide unbiased financial planning advice to businesses and individual clients. He focuses on each client’s financial needs with a broad range of knowledge in the areas of Insurance, Investments and Retirement Planning. Mike received his Bachelor of Science degree in Business Administration with a concentration in Finance from C.W. Post University. He also received his CERTIFIED FINANCIAL PLANNER™ (CFP®) designation in 2011 and Registered Fiduciary™ (RF™) in 2015. 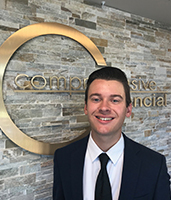 JOSEPH CAMPISI became a Financial Advisor at Comprehensive Financial in 1996. He has specialized in asset management, financial planning and insurance for over 37 years. Joe is a registered representative of the Investment Center, Inc. He is also a licensed insurance broker. 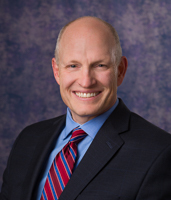 Prior to Comprehensive Financial Joe was a licensed agent of Phoenix Mutual since 1978, specializing in financial planning and retirement planning for business owners. He employs a holistic approach with his clients providing unbiased advise concentrating on each client’s unique needs. As an independent planning firm, Comprehensive Financial has grown to include three offices on Long Island. Joe runs the Aquebogue office servicing his clients in the Hamptons and North Fork. Ellen Lozinski joined Comprehensive Financial in 1996. Ellen graduated from Dowling College in 1990 with a BA in Economics. She entered the banking industry with Citibank through their branch associate program that was launched in 1990. She became an Assistant Vice President of Citibank and helped launch the Citigold Private Client platform into the branches on Long Island before she joined the firm. She currently works as the CFO of Comprehensive Financial handling all of the firm financials and human resources. She currently holds a NYS Life and Health License. Corinne Bernath joined Comprehensive Financial in March of 2012. Corinne is currently the Office Manager of the firm as well as the Director of Financial Services. The Center Moriches resident has held previous positions in the Financial Services Industry including Registered Representative/Investment Advisor Representative at MetLife Securities in Hauppauge and as Director of Operations at Ameriprise Financial in Melville. Corinne is a Registered Representative of The Investment Center, Inc. and also holds her NYS Life, Accident, Health and Variable Life/ Variable Annuity Licenses. 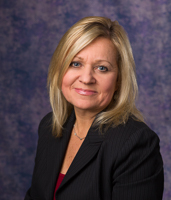 Linda Ferri Stein of Sayville has joined Comprehensive Financial in East Islip as Director of Benefit Communications. Linda has held previous positions in the Financial Services Industry including Registered Representative/Investment Advisor Representative at Metlife Resources in Uniondale specializing in the Group 401K market and Relationship Banker at JP Morgan Chase Bank in Sayville. Linda is a Registered Representative of The Investment Center, Inc. and also holds her NYS Life, Accident, and Health License. 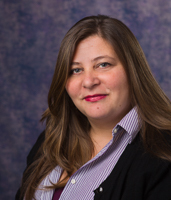 Lisa Candela has joined Comprehensive Financial with headquarters in East Islip as a Client Service Specialist. 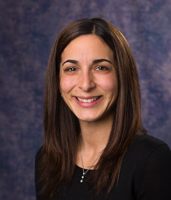 The Medford resident previously served as Case Manager in life insurance operations at Crump Insurance Services and Aviva Life Insurance, both located in Melville. She is also a NYS License Life, Accident, and Health Producer. 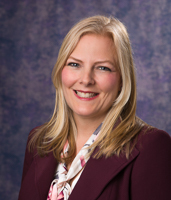 Jennifer Montuori joined Comprehensive Financial in 2014 as the Assistant to the CFO. The Bohemia resident previously worked as a Customer Service Representative for the First National Bank of Long Island located in Babylon.